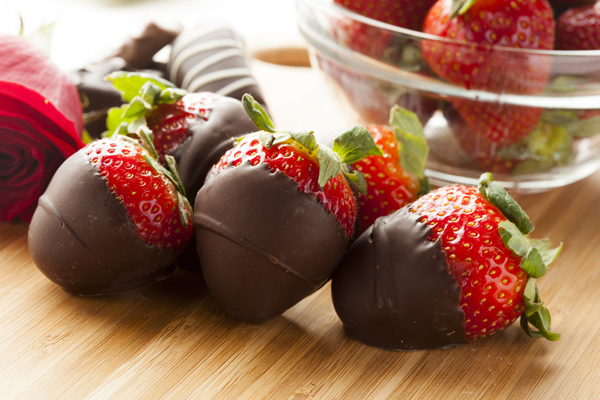 Although I do not crave chocolate often, there is nothing as irresistible as a perfectly strawberry dipped into dark chocolate. Here in Florida, strawberries are in season and are sweet, plump, and perfect for dipping. I prefer dark chocolate with at least 77% cocoa and for the best results, you should temper your chocolate to create a firm shell when dipping fruit. Though there are a few different methods for tempering chocolate, I find the method below to be the easiest. microwaving on in 20-second intervals until melted, stirring after each period until chocolate reaches 110 degrees F.